South Africa has too many hiking trails to even name but one stands out if you want a taste of history and culture. 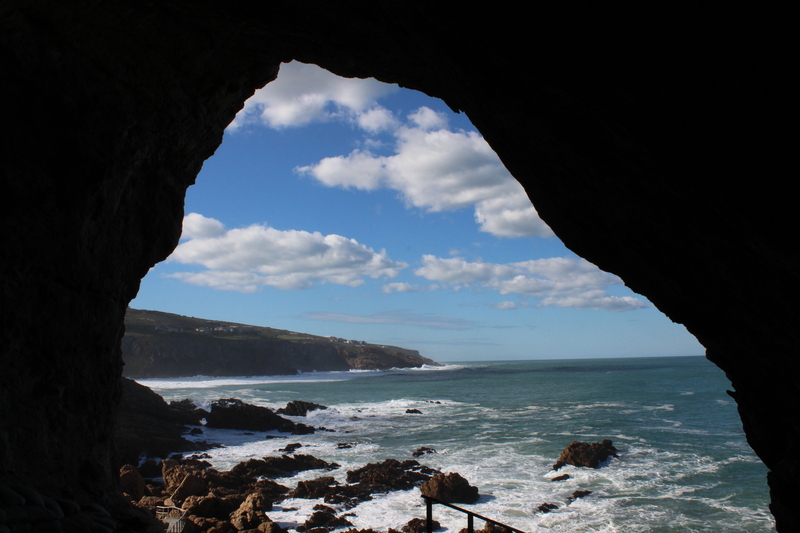 The Pinnacle Point Caves are nestled along the Oystercatcher trail, peering over the roaring ocean onto the jagged eroded remains of a sandstone precipice. This archaeologist-led hike is not recommended for those who fear heights, as hiking down 60 metre high cliffs is shiver inducing. But if you are able to make the trek down the 175-step boardwalk, you will find the reward of being transported into an ancient world at the entrance to the home of the modern humans. This archaeologist-led tour not only guides you around the caves, it also guides you around our past. While walking above the shore on the rickety wooden boardwalk you think to yourself, how did humans thrive with the thrashing ocean next to them during the bitter Ice Age? Well the answer is they didn’t. What is now an inhabitable eroding coastline were once fruitful coastal plains where the Khoi people would feast and flourish thousands of years ago. As you walk around the path to the caves at times you can feel the crunch of shells as delicate as eggshells being crushed beneath you. These shells are part of shell middens, which were created by the ancient people as landfills to dispose of their seafood scraps after their meals. The archaeologist will most likely point out tools found throughout these shell middens that the normal eye would brush off as pointy stones but in reality are complex tools that your very own ancestors once used as hammers and weapons. The trek will bring you past gargantuan broken cliffs streaked with different shades of oranges and browns, half standing and the other half lying below you with its teeth protruding out of the water. You will wander through caves with pointy stalagmites where you can hear the pitter-patter of droplets seeping through the walls and onto the damp floors. Then you will enter the mother of all caves, the point of human origin: Cave 13B. After being swallowed by the cave’s mouth you are transported into a cool room with a sandy floor and walls striped with layers of sediment, fossils, charcoal, bones and the history of our ancestors. As you peer out of Cave 13B onto the deep blue ocean shimmering in the blinding sun, you can’t help but think about the fact that your ancestors might have been sitting in that very spot, painting themselves with ochre or grubbing down on some salty shellfish. 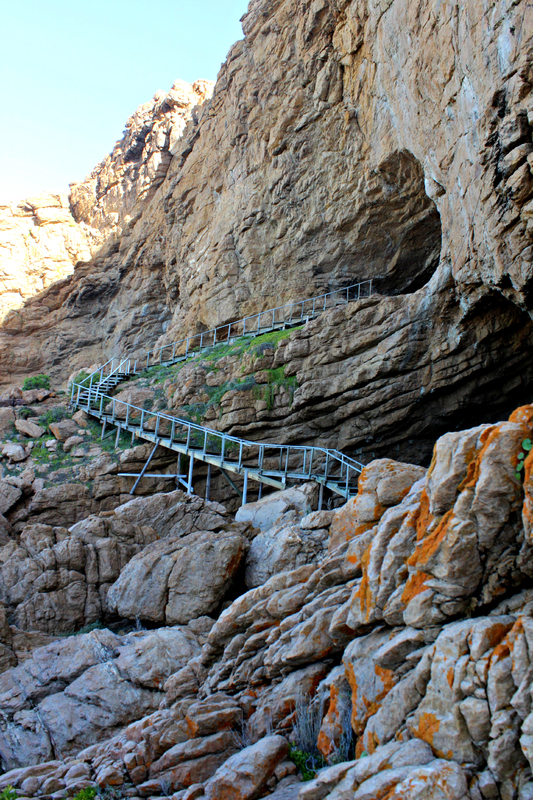 The walk through the Pinnacle Point Caves will remind you of where you came from and the importance of staying connected with nature in order to preserve its beauty and gifts for future generations as your ancestors did for you.